"The sixteenth-century Catholic Church was definitely in need of reform. Too many of its leaders were worldly and corrupt; too many of the faithful were living in laxity or ignorance. Unfortunately, Protestantism brought revolution rather than reform, but the saints who rose up in response to it helped renew and transform the Church for generations to come. Our own souls, too, are in constant need of reform, of re-conversion to God and his will for us. We struggle with sin, we become distracted in prayer, we find it hard to be loving and easy to be selfish. 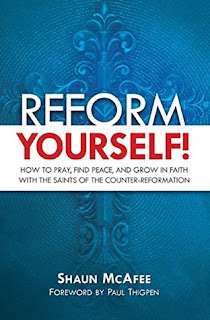 In Reform Yourself!, Shaun McAfee (founder of Epic Pew and author of Filling Our Father's House) shows you how these magnificent saints can be guides in your own personal transformation." "More than thirty years ago, I was a Protestant pastor working my way through a Ph.D. program in Church History at a Methodist university. The process was an essential factor in my eventually becoming Catholic. As Blessed John Henry Newman famously observed, "To be deep in history is to cease to be Protestant." As I studied, I learned almost daily not only how much I didn't know, but also how much of what I thought I knew was actually untrue. One of the great surprises awaiting me when I studied what Church historians call the "Reformation Period" was the Catholic movement known as the Counter-Reformation. Many prefer to call it the Catholic Reformation, and for good reason: it was not just a reaction, a "counter," to the Protestant revolt. The spirit of genuine reform within the Catholic Church, as opposed to her attempted reform through fragmentation, long preceded Martin Luther's posting of the Ninety-Five Theses on October 31, 1517-the episode commonly considered the birth of the Protestant movement." "In these pages you'll read about ten of these genuine spiritual heroes and what they have to teach us today. Their stories should stir us with admiration for their exceptional holiness, wisdom, courage, and perseverance-and often a fine sense of humor as well. 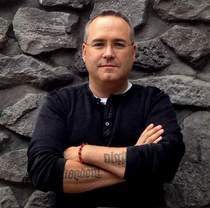 But the author has given us much more than simple biography; he connects these stories to our everyday work of self-reform, of ongoing conversion, as well as to our baptismal call to explain and defend the Faith. Always, he approaches these saints with an essential question in mind: What can we learn from their example? I trust this book will find a wide audience. My hope is that readers will respond eagerly to the challenges it issues through its perceptive look at ten extraordinary saints with profound lessons for ordinary Catholics." "It is said that if you want to become a saint, you must read the saints. But I say, if you want to become a saint, you must do more than read: you must study the saints! You must read the saints in detail, analyzing them to the degree to which you come to know your own friends and family, taking an interest in every detail of their characters. To know these saints, we must devote ourselves to them. Only when we do this can we become like them." And this book is the beginning of that journey. The first saint covered in the book is St. Francis ds Sales, his feast day is my birthday and this chapter begins with this quote from him "Be who you are and be that well". Then the chapter on St. Ignatius of Loyola begins with this quote "To conquer himself is the greatest victory that man can gain.". Each chapter of this book begins with the key dates for the saint. It starts with a quote. 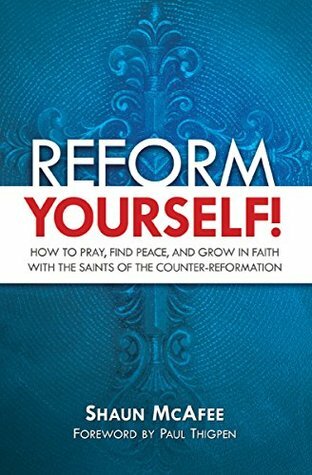 Outlines the example that saint is in our process of reforming ourselves and then each chapter ends with one or more prayer. This book is very well written. It was hard to put down. The bibliography at the end it excellent for going deeper with one or more of the saints highlighted in the book. The only thing I fell the book really needed was a conclusion. It has a wonderful forward, and great introduction, incredible teaching and then just ends. But even with that it is a great read that I highly recommend.